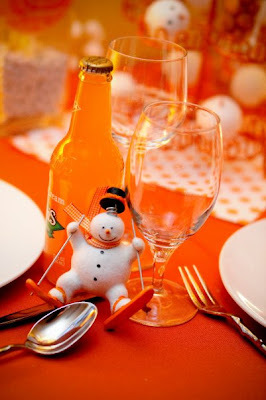 Here are the first set of pics from our A Classic Party Rental open house. 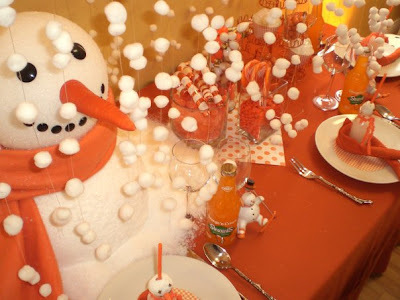 The centerpiece of the table was a life sized melting snow man and a faux snow shower of stringed pom poms…um, 1000 of the them to be exact. 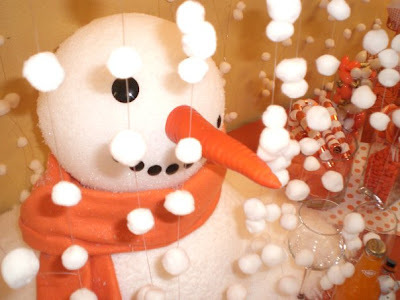 And yes, we strung them by hand. 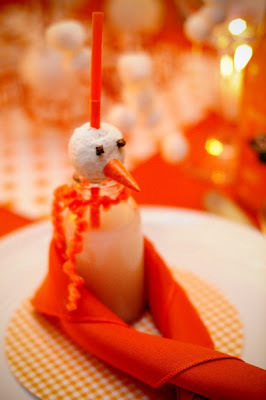 Mini milk bottles filled with milk and topped with a donut hole and straw and a yarn scarf. 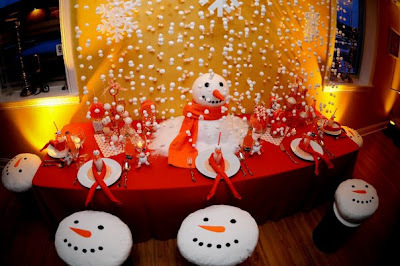 The entire table was inspired by the snowman pillows. 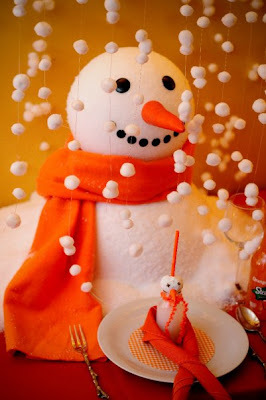 This entry was posted in Kids Party, Orange white, Snow Party, Snowman Party, Winter Wonderland on January 26, 2010 by Setting the Mood.